In a medium sized mixing bowl, place your very finely diced red onion. Add to this your diced cucumber and diced capsicum. Mix through with your hands. Lastly dice your mango and gently mix through until well combined. Gentle is the key here, otherwise your mango will just turn to mush. 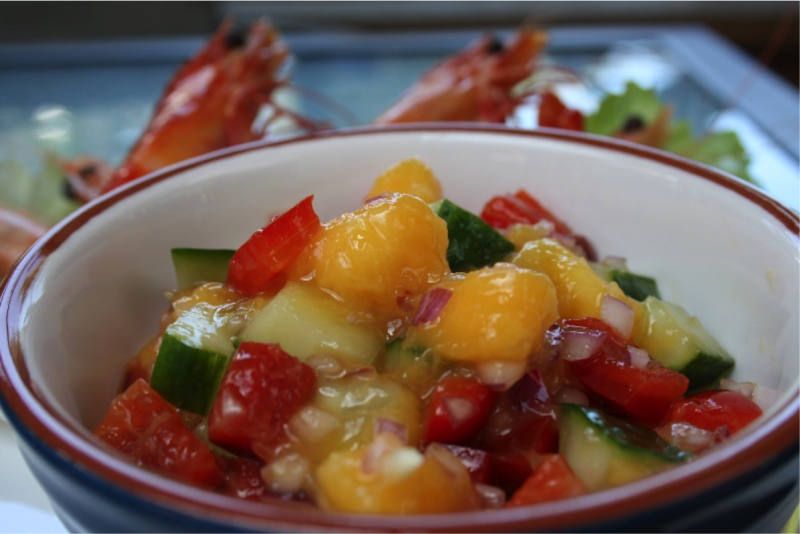 I have served this salsa with prawns as pictured here, or with smoked salmon. Great as a different dip with corn chips too.